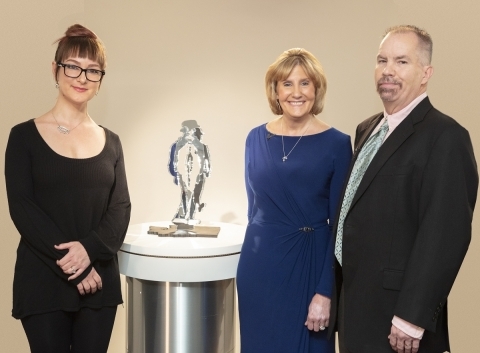 Steve Peters, a person with Parkinson's and advocate, and his wife, Leslie, a Parkinson's advocate, with artist Julie B., discuss a bespoke sculpture she created inspired by Steve's journey with Parkinson's and his OFF symptoms. Movement disorder specialist Dr. Matthew Stern joined to discuss the importance of communicating about OFF periods with your healthcare team. ARDSLEY, N.Y.--(BUSINESS WIRE)--Acorda Therapeutics, Inc. (Nasdaq:ACOR) today launched Framing OFF Through Art℠, a new initiative that uses the power of art to allow people with Parkinson’s to help recognize and articulate their OFF period experiences. This initiative builds on Acorda’s “Live Well. Do Tell.℠” program, which was launched in March 2018. Many people with Parkinson’s experience OFF periods in which Parkinson’s symptoms re-emerge even though the person is on an existing treatment regimen. 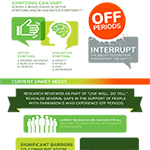 OFF periods affect about 40 percent of the approximately one million people with Parkinson’s in the U.S. The need for better dialogue about OFF period symptoms was originally highlighted in the “Live Well. Do Tell.” Statement of Need, a report developed based on insights from a multi-disciplinary steering committee of Parkinson’s community leaders. Framing OFF Through Art includes a series of artworks inspired by the personal stories of people with Parkinson’s and their care partners. 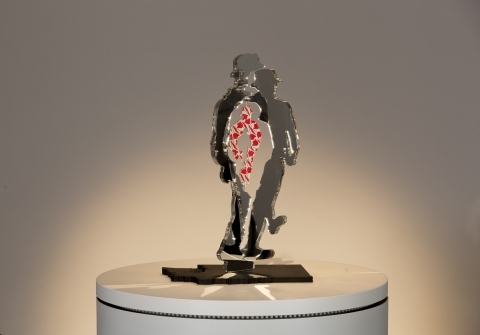 The artworks were created by artists who have personal connections to the disease. 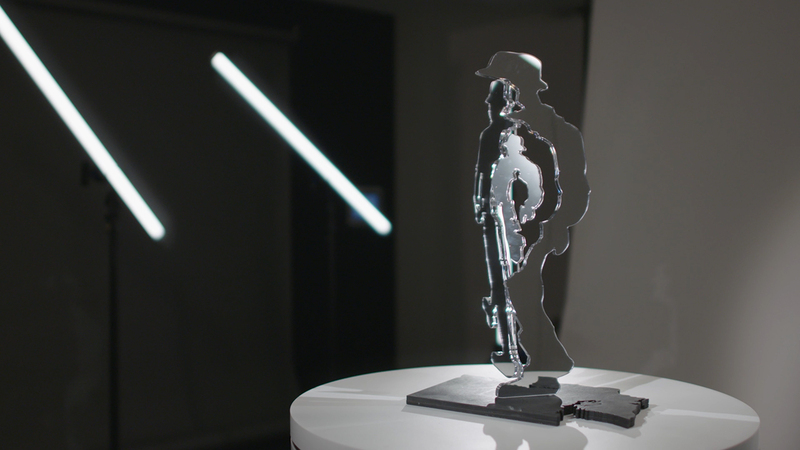 Each artist partnered with two people with Parkinson’s and their care partners and developed a work of art to represent their stories. The art is intended to educate and encourage other people with Parkinson’s and their care partners to recognize OFF period symptoms and start a conversation with their own healthcare teams. The artwork debuted on October 23 in New York at an event attended by the artists, people with Parkinson’s and their care partners. The first piece, created by Julie B., whose mom is living with Parkinson’s, is now available on LiveWellDoTell.org. Additional art pieces and stories will be revealed each month. 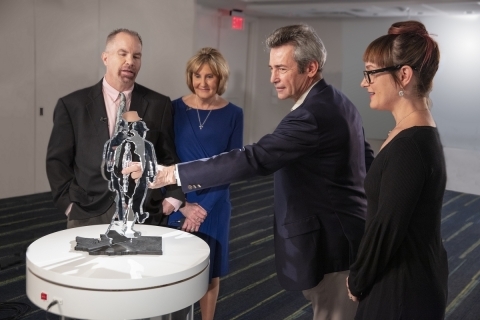 “Art is a powerful way to engage a community, and in Framing OFF Through Art, our goal is to create an emotional connection that results in better dialogues about Parkinson’s symptoms,” said Ron Cohen, M.D., Acorda’s President and CEO. For more information about “Live Well. Do Tell.”, Framing OFF Through Art and to see the artwork and the stories of the individuals featured, visit LiveWellDoTell.org. “Live Well. Do Tell.” is an initiative created by Acorda with input from a multi-disciplinary steering committee of Parkinson’s community leaders. The goal of the program is to develop tools to address communication gaps among people with Parkinson’s, care partners and their healthcare professionals. The steering committee included people with Parkinson’s, care partners, movement disorder specialists, a nurse practitioner and representatives from key advocacy groups, including the American Parkinson’s Disease Association, Caregiver Action Network, Davis Phinney Foundation, The Michael J. Fox Foundation, Parkinson’s Foundation, the Parkinson & Movement Disorder Alliance and the World Parkinson Coalition. Parkinson’s is a progressive neurodegenerative disorder resulting from the gradual loss of certain neurons. These neurons are responsible for producing dopamine and that loss causes a range of symptoms including impaired movement, muscle stiffness and tremors. As Parkinson’s progresses, people are likely to experience OFF periods, which are characterized by the return of Parkinson’s motor and non-motor symptoms; these can occur even in the presence of regular maintenance therapy. Approximately one million people in the U.S. and 1.2 million Europeans are diagnosed with Parkinson’s; approximately 40 percent of people with Parkinson’s in the U.S. are estimated to experience OFF periods. This press release includes forward-looking statements. All statements, other than statements of historical facts, regarding management's expectations, beliefs, goals, plans or prospects should be considered forward-looking. These statements are subject to risks and uncertainties that could cause actual results to differ materially, including: the ability to realize the benefits anticipated from acquisitions, among other reasons because acquired development programs are generally subject to all the risks inherent in the drug development process and our knowledge of the risks specifically relevant to acquired programs generally improves over time; we may need to raise additional funds to finance our operations and may not be able to do so on acceptable terms; increasing competition and accompanying loss of revenues in the U.S. from generic versions of Ampyra (dalfampridine) following our loss of patent exclusivity; the risk of unfavorable results from future studies of Inbrija (levodopa inhalation powder) or from our other research and development programs, or any other acquired or in-licensed programs; we may not be able to complete development of, obtain regulatory approval for, or successfully market Inbrija or any other products under development; risks associated with complex, regulated manufacturing processes for pharmaceuticals, which could affect whether we have sufficient commercial supply of Inbrija to meet market demand, if it receives regulatory approval; third party payers (including governmental agencies) may not reimburse for the use of Ampyra, Inbrija or our other products at acceptable rates or at all and may impose restrictive prior authorization requirements that limit or block prescriptions; the occurrence of adverse safety events with our products; the outcome (by judgment or settlement) and costs of legal, administrative or regulatory proceedings, investigations or inspections, including, without limitation, collective, representative or class action litigation; competition; failure to protect our intellectual property, to defend against the intellectual property claims of others or to obtain third party intellectual property licenses needed for the commercialization of our products; and failure to comply with regulatory requirements could result in adverse action by regulatory agencies.